Our Christian faith is rooted solidly in the understanding that God loves us and all of creation unconditionally. The great 16th century Reformer, Martin Luther, after whom we Lutherans are named, came to realize after a thorough study of the Bible, that we are ‘saved by God’s grace through faith.” Before the Reformation, the church taught that God’s full acceptance and love was dependent upon our ‘works’, that is, our good deeds. Martin recovered the Biblical teaching that because of Christ’s death on the cross, there is absolutely nothing we can do to earn or increase God’s love for us. God’s love is given simply because God is love. In our Baptism, we are splashed with water and given that promise of God’s never ending presence and grace in our lives. We journey through life in remembrance of our Baptism, aware that we are cherished and valued just because God says we are. On January 7, 1912 members of the newly formed Danish-American community of Solvang, California voted to organize a Danish Lutheran congregation. The name Bethania was chosen and at first worship services were held at Atterdag College. In 1927 the congregation began construction of a church building. It was completed in July 1928. The building was designed in the style typical of rural churches in Denmark. As in many rural churches in Denmark at Bethania you will find the model of a ship hanging in the sanctuary as a reminder of the fishermen at sea, and of the church as a safe haven on the sea of life. Artisan Jes Smidt of Luck, Wisconsin, did the beautiful woodwork of the altar, pulpit, baptismal font, pastor’s chairs, and altar railings. The pulpit features figures of St. John, St. Peter, St. Paul, St. Ansgar, and Martin Luther. The 3-sided baptismal font is adorned with an angel on each side. On the altar stands a beautiful copy of Thorvaldsen’s Christ statue. The statue was a gift to Bethania from the Danish Lutheran congregation in Alden, Minnesota. Bethania was the first Danish style building in Solvang, and remains the most authentic Danish architectural replica in the city. It was a beacon of welcome for newly arriving settlers to Solvang, and continues as an historically accurate landmark that attracts visitors from around the world. The congregation of Bethania takes great pride in its church and has lovingly cared for it throughout its history. The Heritage Fund for Bethania was established in 2012, our centennial year. The Fund’s purpose is to preserve the historic facilities of Bethania Lutheran Church. The income from this fund can be used for projects needed to preserve the church building and the grounds surrounding it. Gifts to the Heritage Fund will help make sure that Bethania’s treasured and historic church building will continue to be a home for our congregation and a community landmark for generations to come. 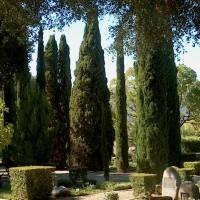 High on a bluff overlooking the town of Solvang there stands a small corner of Danish-American history: the beautiful and serene Solvang Cemetery. In 1912 the congregation was given land for a cemetery, which they designed to resemble those found in Denmark where almost all churches have a cemetery. Looking much like a peaceful, contemplative garden, the cemetery and its grounds are still owned and lovingly cared for by Bethania, which is the only Lutheran church in our Synod to have a cemetery. Bethania Lutheran Church has baptismal records, confirmation records, wedding records, and burial records from 1910. 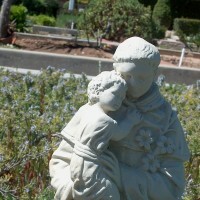 Records for burials at Solvang Cemetery, the church-run cemetery, are kept off-site. 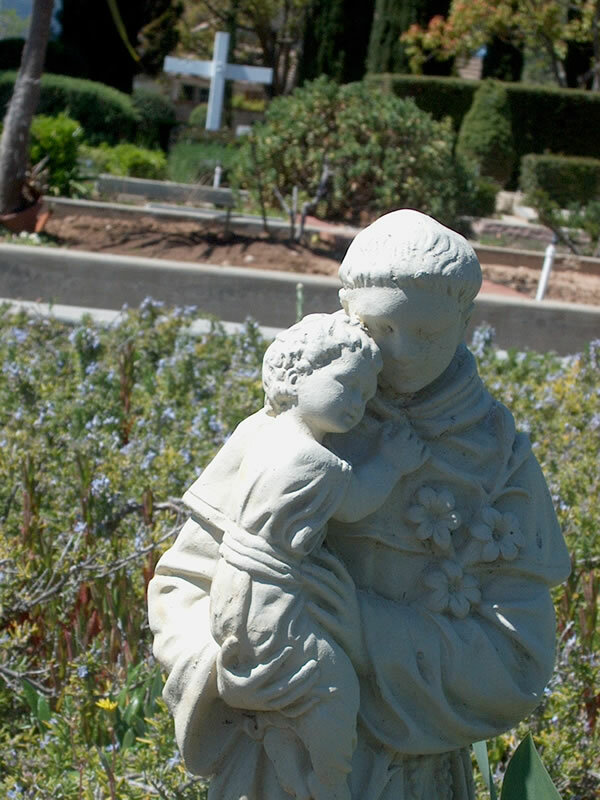 If you have a question about someone buried at Solvang Cemetery, a genealogical question or need a transcript, please contact Kristyl Downey in the church office. You will need to provide as much information as possible, such as name of person in record and approximate date of the life passage.